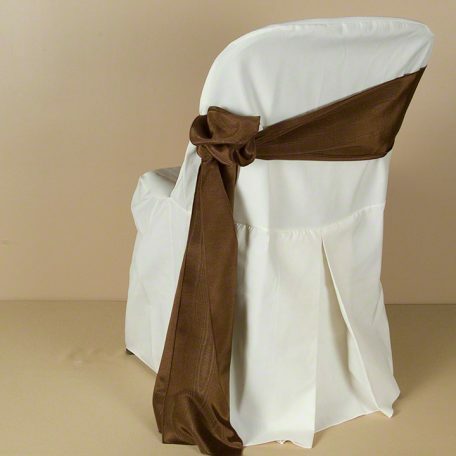 Our polyester folding chair covers are a great fit for most folding chairs, with the exception of the Lifetime folding chairs found at Sam’s and Costo. 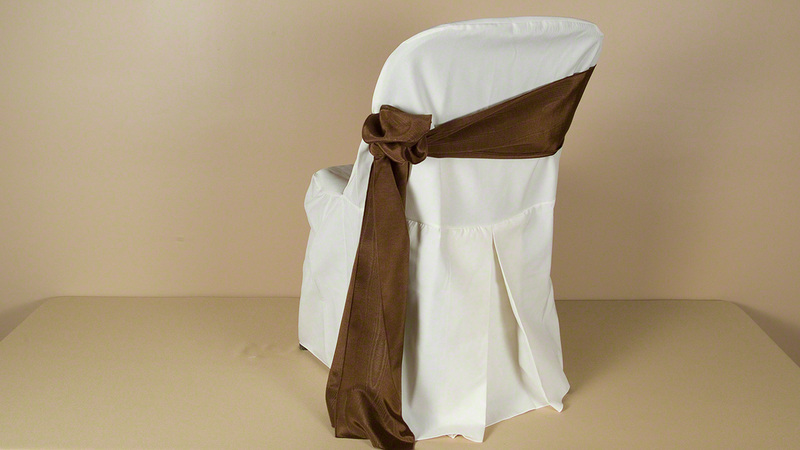 All of our poly chair covers are pressed prior to shipping out for your event. Photo is shown with a chocolate bengaline moire sash.